How does ADSL internet work? Asymmetric Digital Subscriber Line (ADSL) is the most common form of domestic internet connection in the UK. While many households and businesses benefit from fast fibre optic, ADSL broadband offers sufficient speeds for many tasks, can be very cheap, and ADSL-compatible telephone lines are available in most premises because these broadband services use the Openreach (BT line) telephone network. ADSL works by sending data and voice along the same telephone line, with a filter at the end to split the two signals. This enables calls to be made while internet data is being accessed, in contrast to the pre-ADSL dial-up era when the internet connection had to be disconnected for a call to be made. 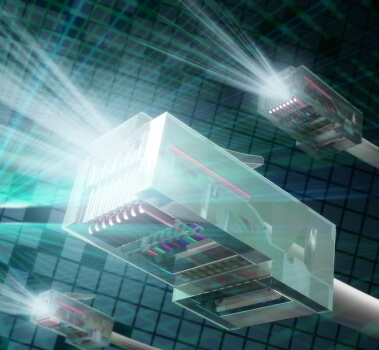 Most ADSL broadband now uses ADSL2+ technology with average download speeds of around 10Mb. ADSL2 and ADSL2+ are enhancements to the original ADSL standard, each offering higher speeds for users situated closer to telephone exchanges (with ADSL, speed decreases the further from an exchange you are based). Unfortunately, a few areas are currently unable to receive ADSL2 and ADSL2+, resulting in speeds being limited to a maximum 8Mb (and usually a lot slower in practice). Further improvements to the choice of packages, speeds and prices have been enabled thanks to LLU (Local Loop Unbundling), a regulatory process that allows other ISPs to provide services on the BT Openreach network. This is what's offered by providers such as Sky, TalkTalk and Post Office. Why should you consider ADSL? Thanks to ADSL's wide availability, numerous ISPs offer low cost internet access using this technology. However, it is worth mentioning that some do not. For example Virgin Media only offers fibre internet over its own network. And while Vodafone uses the Openreach network it does not offer ADSL access, only high-speed fibre broadband. Which ISPs offer standard ADSL broadband internet? Unlimited broadband starting at around £25 on an 18 month contract. BT deals include a free Wi-Fi router and free access to the BT Wi-Fi public hotspot network. Average download speeds of 10Mb. BT broadband is frequently available with free rewards. Starting from just under £20 a month, NOW deals offer unlimited data and may include free anytime calling and free access to a NOW TV pass. Average speed is 11Mb. Plusnet offers unlimited ADSL broadband with a variety of package options, including "line only" without inclusive calling. Prices start under £20 a month. Free wireless router included in the price, no set up cost on most packages. Cheap ADSL broadband deals including a free router and fixed price for the duration of the contract. Setup is often free and prices start from under £20 per month. 11Mbps average download speed and 1Mb average upload speed. TalkTalk offer unlimited downloads and online security features. These are just a few of the providers which offer ADSL. Check out our home broadband deals for full details on all packages and providers. With so many providers offering ADSL broadband internet, you're spoiled for choice. ADSL can be very cheap too, and while the speeds are limited in comparison to high-speed fibre broadband, it should be enough for most individuals or small households.